I prefer kissaten to cafe. Because I feel more comfortable in kissaten. 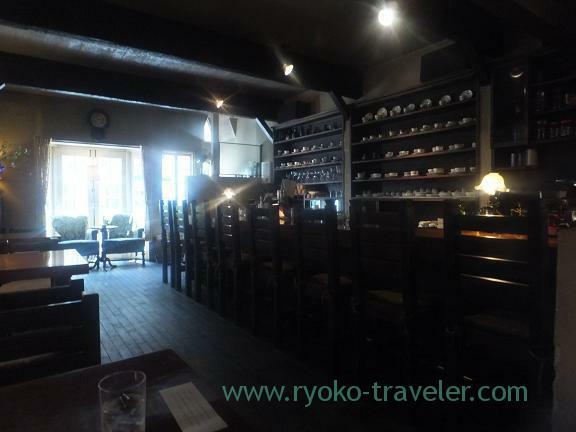 Almost all cafes have bright atmosphere. But kissaten have calm and relaxed atmosphere. There is a good kissaten in front of Yatsu station. It is a branch of my favorite kissaten. So I tried to go there. There was no guests in the kissaten all the time I was there because it was early in the morning. So quiet. I know Haruki Murakami wrote about the kissaten on his essay. I wanted to eat cake, but I couldn’t choice one. And I asked the waitress what cake is recommend. She said it is apples and bananas tart or gateaux chocolate. 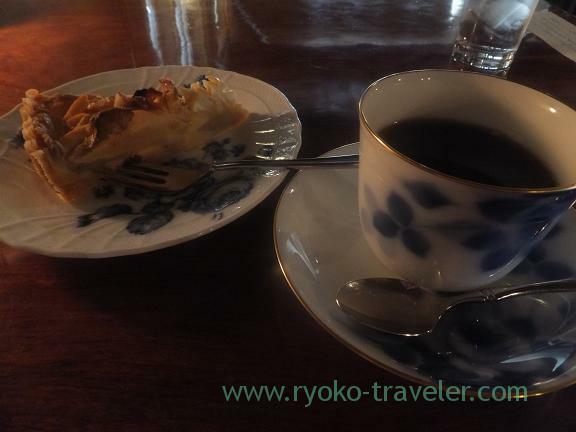 So I ordered a apples and bananas tart(りんごとバナナのタルト) and Roa blend coffee(ロアブレンド).900 yen in all. It was a good choice for me ! This tart had sourness of apple and sweetness of banana. Not too sweet and it had refreshing taste. Receipt. 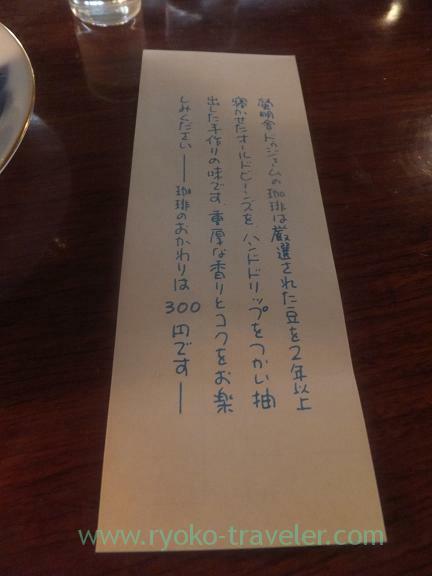 Second helping is 300 yen.